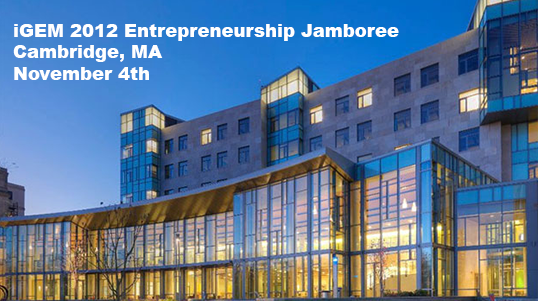 Welcome to the iGEM 2012 Entrepreneurship Jamboree, being held from November 4th in the MIT Stata Center. If you have any questions or comments during the Jamboree, come by the iGEM Headquarters desk in the Stata Center, room 32-144 or call Jose at +1 617 294 9875! 10-30-2012: Updated presentation schedule has been posted. 10-30-2012: Jamboree is scheduled to proceed as planned. 10-29-2012: Hurricane Sandy is hitting East Coast. See the Jamboree contingency page for details. 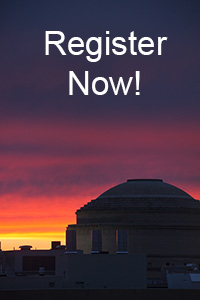 10-26-2012: Want to see iGEM Headquarters for yourself? Swing by after the Jamboree! We'll be having an Open House on Monday and Tuesday!